Discount available! Recommend Snake Camera for Android and PC to your friends and get your Discount. Color snake camera suitable for ispection in tight areas and hardly accessible. 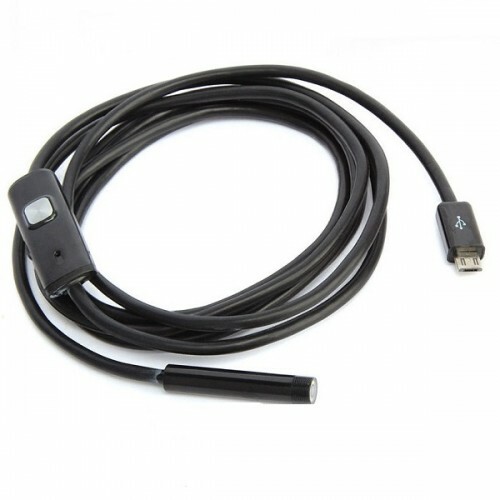 It connects directly to the micro USB socket on your smartphone or USB port on your PC. It allows to watch in real time what is being shot by the camera, take photos and videos, audio recordings (via the built-in microphone) and record it all on smartphones and Android tablet or PC. 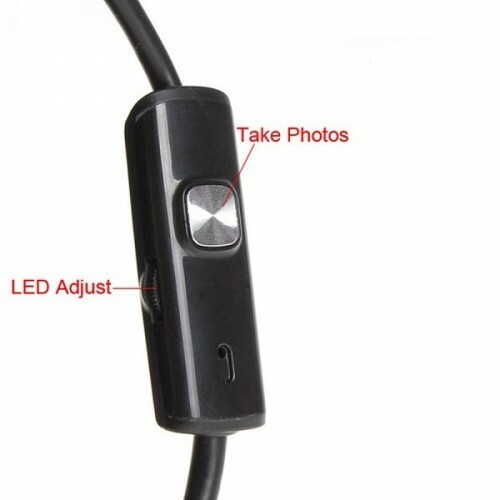 The camera has a 66° view angle and 4 cm minimum focus. It is fixed to the end of a flexible tube (lenght 90.5 cm), which allows the orientation depending on the own needs. Six white LEDs with adjustable intensity, guarantee optimal viewing even in ducts, pipes and underwater. Power supply by micro USB socket. 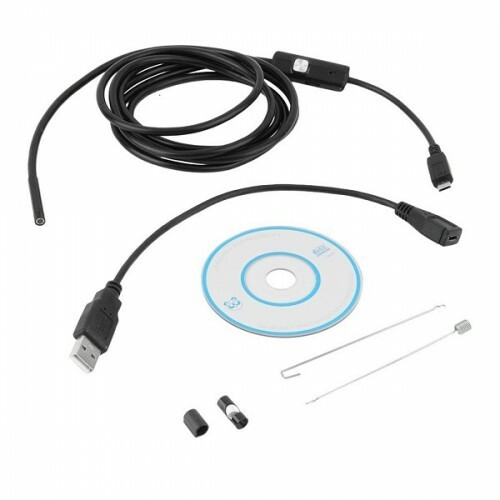 The package includes the snake camera, a magnet to collect small metal parts, a hook to retract wires or other small objects, a mirror to look around corners. N.B. 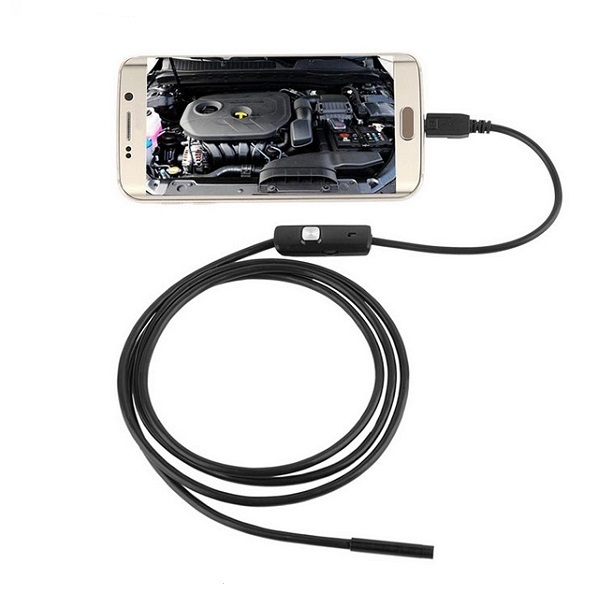 AN97 - USBCamera2.0 - Endoscope, APP for Android must be downloaded from Play Store. Attention: not for iOS devices. Android devices must support OTG function.